The brand new engine installed 2018, with upgraded 4 barrel carb giving her extra grunt! Electric bilge pump operated either manually or automatically via float switch. There is a fire extinguisher in the engine locker that automatically operates in the event of a fire. This Maxum 1900 is a very attractive package after having a new upgraded 225hp 4.3L V6 Mercruiser engine installed this year, she also sits on a 2017 trailer. The boat is in good condition & has had all the money spent on her to give many more years of excitement for her new owner, The current owner is selling as he is upgrading to bigger vessel. 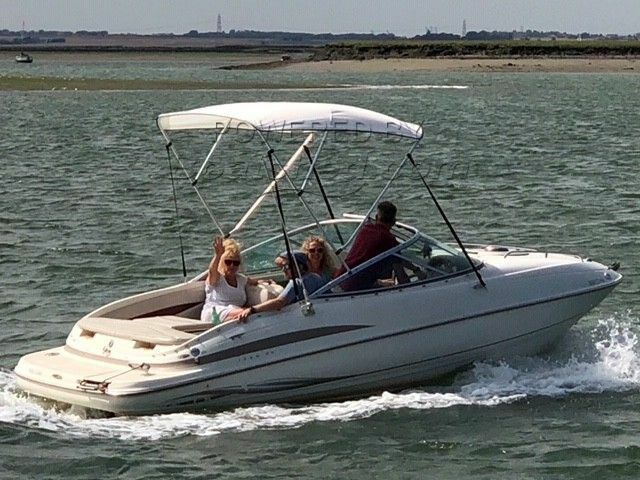 This Maxum 1900 SC has been personally photographed and viewed by Suzzanne McDonald of Boatshed Medway. Click here for contact details.